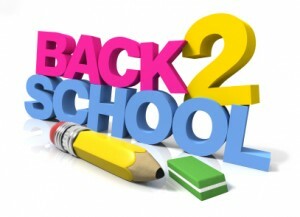 I’ve been scoping out where to buy back to school supplies for the best prices and I have come up with 4 stores where you can get some great deals. Read on! 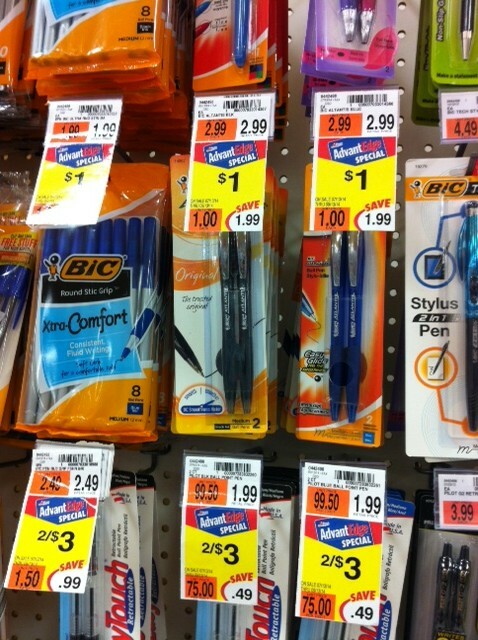 Probably your most obvious place since office/school supplies are their speciality. This store has HOT deals every week before school starts (.50 cent composition books and .25 cent rulers??) AND they offer coupons. How do you get the coupons? Visit their website, scroll down and click on “Deals” to sign up for their emails. You’ll find a link in their emails to printable coupons, which change every few weeks. *NEW*- Staples will also price match other stores during the back to school season AND give you an additional 10% off the price! And did you catch their coupon for $5 off $25 of back to school supplies in their ad this week? They price match— and, technically, you don’t even need to bring the ad in! They will price match the in-store price of the same item found elsewhere! (Want those .50 cent composition books from Staples but don’t want to drive there? Get them at Walmart!) Read the details HERE. Use Savings Catcher-– their latest way to price match after you shop. Buy your supplies at Walmart, enter your receipt number HERE and Walmart will search all local ads for a lower price and give you the difference back on a gift card! (This works for other items you buy there, too!) Definitely worth trying out. Oh, and one more tidbit I learned: Walmart accepts competitor coupons! Print that $2 off Crayola products coupon from Target’s website and Walmart will accept it. Read details HERE. Have any more back to school savings tips or find any hot deals? Share them in the comments! This entry was posted in Capital Region Deals, Coupon, Price Chopper, Target and tagged back to school, Coupons, Deals. Bookmark the permalink. ← Cheap Yoplait Kids Yogurt- and a Big Smile for Your Kids! I have been having issues with Target when it comes to back to school shopping, because twice they have advertised good deals on products that were on my list, but when I go there (on the first day of the sale), the products are not in stock. So far I have gotten supplies from my son’s list at Walmart, Shoprite, Walgreens and Rite Aid. I’ve gotten things like 30 cent notebooks, 10 cent folders, 50 cent pencil boxes, etc. I’m about 75% done, and have spent less than $10.